The bipartisan plan would raise both the gas and diesel taxes over the next two years, and then index the taxes to keep pace with inflation. WASHINGTON — Two senators unveiled a bipartisan plan Wednesday to raise federal gasoline and diesel taxes for the first time in more than two decades, pitching the proposal as a solution to Congress’ struggle to pay for highway and transit programs. The plan offered by Sens. Chris Murphy, D-Conn., and Bob Corker, R-Tenn., would raise the 18.4 cents-a-gallon federal gas tax and 24.4 cents-a-gallon diesel tax each by 12 cents over the next two years, and then index the taxes to keep pace with inflation. The increase would be applied in two increments of 6 cents each. The plan also calls for offsetting the tax increases with other tax cuts. Senators said that could be done by permanently extending six of 50 federal tax breaks that expired this year, but they indicated they would be open to other suggestions for offsets. The plan was immediately embraced by industry and transportation advocacy groups seeking a long-term means to keep the federal Highway Trust Fund solvent. However, it would require a lot of heavy lifting from Congress in the politically charged atmosphere of an election year to pass such a plan before late August, when the trust fund is forecast to go broke. Senate Finance Committee Chairman Ron Wyden, D-Ore., has indicated he’s looking for means to shore up the fund for about the next six months while working on a long-term plan. 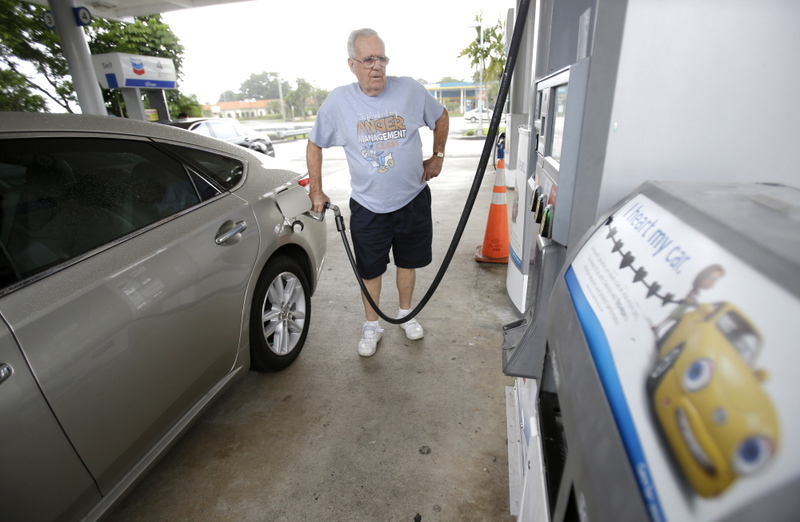 That would move debate on a gas tax increase or some other revenue-raising scheme until after the midterm elections in November. Revenue from gas taxes and other transportation user fees that for decades hasn’t kept pace with promised federal transportation aid promised to states. People are driving less per capita and cars are more fuel efficient, keeping revenues fairly flat. At the same time, the cost of construction has increased, and the nation’s infrastructure is aging, creating greater demand for new and rebuilt roads and bridges. The last time federal gas and diesel taxes were increased was in 1993 as part of plan to reduce the federal budget deficit. Republicans castigated Democrats for the tax increase, and it was a factor in the GOP takeover of the House and Senate the following year. Since then, lawmakers have been reluctant to raise fuel taxes despite calls from several blue-ribbon commissions to do so. Since 2008, Congress has repeatedly dipped into the general treasury for money to keep the trust fund solvent, sometimes waiting until the government was the verge of slowing down payments to states. States have complained that the uncertainty over whether federal aid will be forthcoming has limited their ability to commit to larger projects that take years to plan and construct. “Congress should be embarrassed that it has played chicken with the Highway Trust Fund and allowed it to become one of the largest budgeting failures in the federal government,” Corker said. The six expired tax breaks identified by the senators as possible offsets for fuel tax increases are a research and development tax credit, certain expensing by small businesses, the state and local sales tax deduction, increasing employer-provided transit benefits to the same level as parking benefits, a deduction for spending by teachers on classroom supplies, and an increased deduction for land conservation and easement donations. The anti-tax Club for Growth, which is influential with GOP conservatives, issued a statement opposing the plan. Congress should “devolve highway funding to the states and let them fund their own infrastructure needs,” said Chris Chocola, the group’s president.